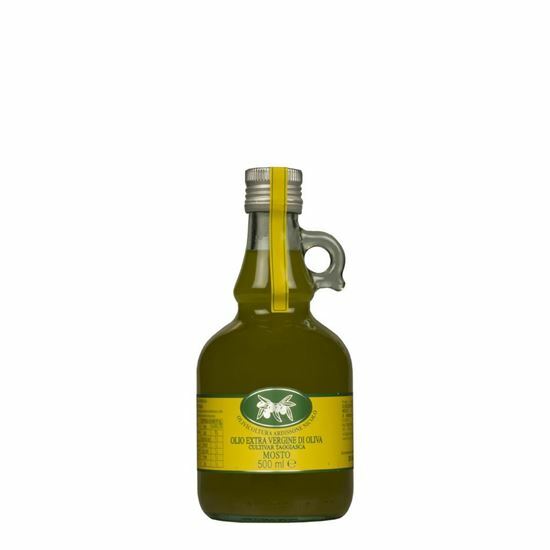 The peculiarity of the Taggiasco oil lies in its lightness, due to its low acidity, and in its fruity and particularly sweet flavour, obtained from the harvesting of selected olives, cold-pressed in the company's own oil mill with traditional millstones. The bad conditions of conservation of the oil affect the quality. For example, direct or diffused sunlight accelerates oxidation, so it is better to store your stock in a dark place. The most relevant alteration is oxidation, i.e. rancidity. The main factors that favour this alteration are oxygen, light, frost and some metals in contact with the product. The temperature of 10/20 degrees is considered ideal for storage. Used containers are not accepted back because they are considered unsuitable to be reused. To avoid breakage during the shipment and be covered in case of damage (and get full refund), we invite you to buy the specific box, sold in our websites at a cost of €4 for every 6 bottles.